visualisations, dashboards and applications that answer your company’s most important questions. Now with Qlik Sense, QlikView you can see the whole story that lives within your data, become a data #KnowItAll and improve user #DataLiteracy to make better human intuitive or guided business decisions. Decisions can be made smarter via Augmented Intelligence tools which amplify human intuition with the power of machine intelligence to broaden analysis and drive new insight. Qlik offers end-to-end data management and analytics platform built to transform your entire business. Whether your need is Analytics Archive or Audit, Qlik gives you full transparency of your data enabling you to monitor measure and manage your business by exception. Qlik Sense, QlikView, analytics platform delivering; BI/analytics dashboards for your industry sector role or technology. Differentia Consulting is a Qlik Sense, QlikView – Qlik Elite Solution Provider. We specialise in providing our clients with simple and limitless analytics delivered with Qlik Sense, QlikView and NPrinting. We help you turn data into insight across all aspects of your business. With the employment of Qlik Sense, QlikView with NPrinting solutions from Differentia Consulting, clients are not restricted by inflexible philosophies of how data should be related. Clients can finally understand how their data is truly related. Differentia Consulting offers a comprehensive set of capabilities. These include Qlik Sense, QlikView; Managed Services, Consultancy, Training and Support enabling clients to reveal, collaborate, analyse and act with Qlik. Differentia Consulting offer a comprehensive range of Qlik analytics-platform offerings that include strategy & product training, see; Qlik Sense training, QlikView training and NPrinting training. We offer data discovery workshops, strategic BI vision setting workshops and the complete series of approved Qlik Sense, QlikView training courses. In addition Differentia Consulting offer tailored and advanced Qlik Sense, QlikView workshops. These courses are developed to ensure the full adoption of Qlik platform product knowledge within an organisation. Qlik Sense, QlikView managed-services are offered to meet the needs of clients as they adopt this disruptive technology. From hand holding support services to delivering innovative development projects both in Cloud and On-Premise onshore and offshore. 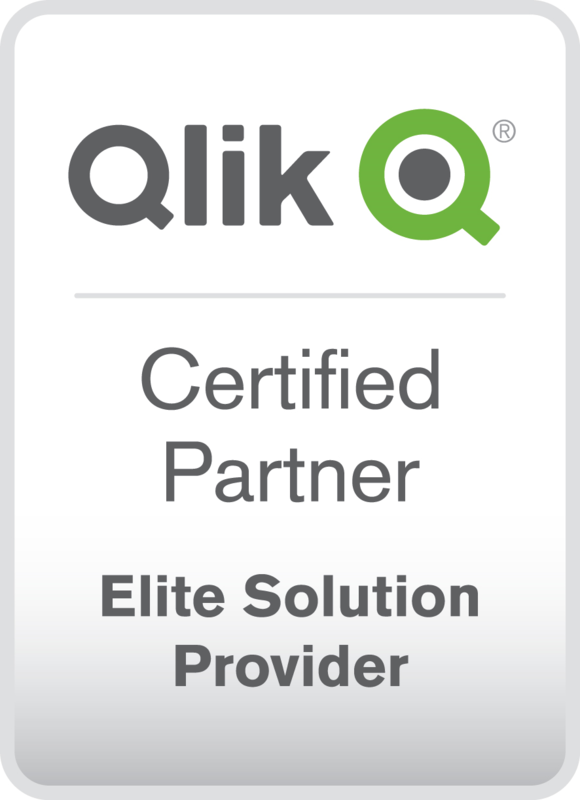 Differentia Consulting is a UK based, global award winning, Qlik Elite Solution Provider offering a platinum level of service. Delivering Qlik Sense, QlikView Consulting Services to 400+ clients and Qlik OEM partners, most are users of tier one ERP/CRM systems namely; Oracle, SAP, Salesforce as well as Microsoft based technologies. We offer Qlik technology-based solutions across a wide variety of industries and have a dedicated team of certified consultants to assist customers in the design, development, implementation and on-going support of industry specific Qlik Sense, QlikView dashboards and reports. These solutions include our Smarter.BI dashboard-applications …powered by Qlik as templates for technologies such as JD Edwards, Oracle and functional areas such as Finance, Supply Chain, PMO and WFM/HCM/HR/IT to reduce time to value and increased product adoption, and also incorporate Qlik extension objects such as planning and mapping / location intelligence. These objects can also be embedded. To understand how the Qlik Analytics Platform can help your business gain competitive advantage by showing you the story in your data get in touch today.